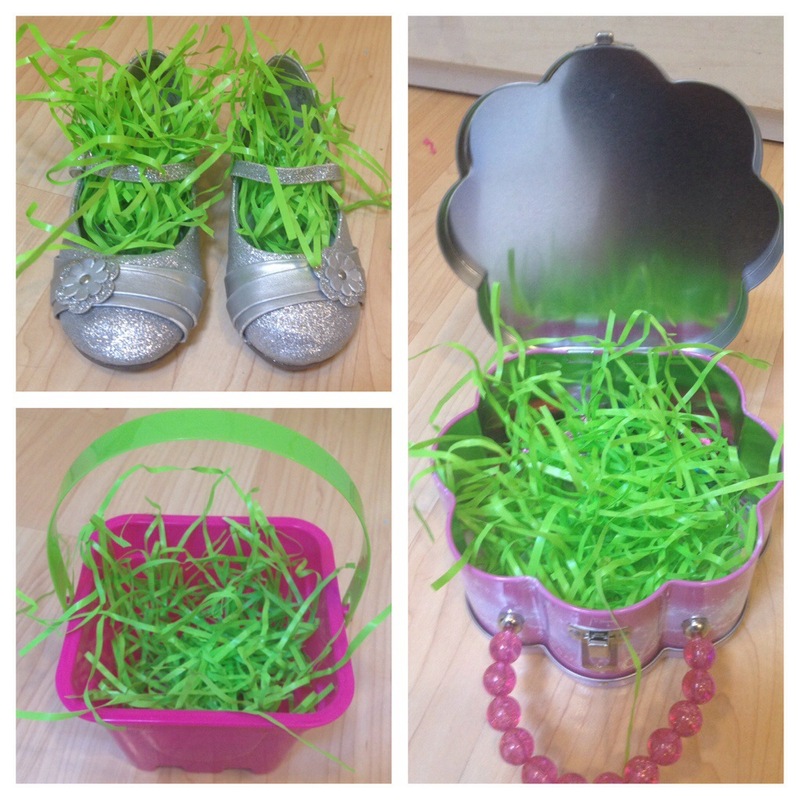 This year I’m doing a sand bucket for my 4-year old and filling it with Easter grass and beach-inspired gifts: small kite, sunglasses, sand toys, and Chapstick. There may even be a special shell necklace inside a plastic egg. There’s a million things you could use instead of a basket, here’s a list to get you started. Pick something and go with the theme…fill bike basket with stickers, streamers, and a bike horn or bell. Fill clear tote or fabric cube with toys – a great way to organize Legos! Fill shoes with cool socks and funky laces. Fill the purse with Chapstick, mini mirror, and some coins. You get the point. Have fun with it! Are you making a basket for your mom (hey, she made one for you all those years) or a friend? What creative things have you done for Easter rather than a traditional basket full of a sugar crash waiting to happen?